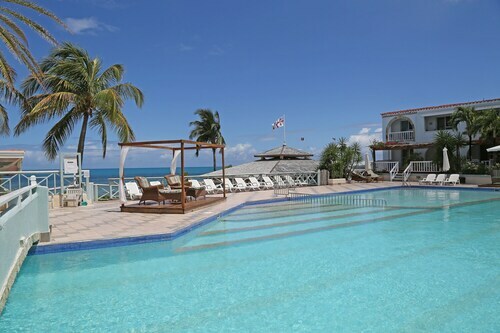 Situated near the beach, this spa hotel is within 1 mi (2 km) of Valley Church Beach and Jolly Beach. Hermitage Bay is 2.3 mi (3.8 km) away. Ray was so thoughtful and helpful , giving us special insight to the hilights of Antigua. We had a great stay, very safe walking around anywhere in Antigua. I travelled to Antigua and stayed at Halcyon Cove. We stayed at the Verandah resort and spa for 7 days - our first time in Antigua - and we loved every minute of it. Quieter, a short walk from the main centre, easily accessible. Big spacious suite, patio overlooking the pool and town. Family owned (on site), very responsive and eager to help with any requests (I never heard "no problem, no problem, glad to help" so often anywhere!). Owner even drove us to the local supermarket to stock up the night we arrived. 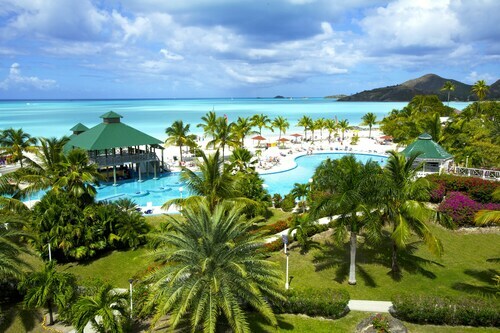 Where to find Antigua hotels near an airport? Where can I find hotels in Antigua that are near tourist attractions? Apartment and hotel options are many and varied in Antigua. 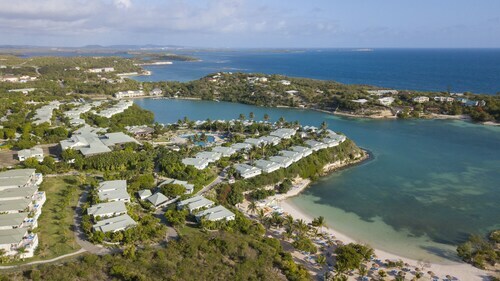 Expedia lists 55 places to sleep within 0.1 kilometres (0.06 miles) of the heart of Antigua. Enjoy the action close to central Antigua. 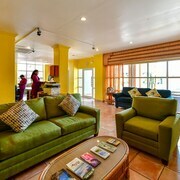 Accommodations in the vicinity include Oceanic View Exclusive Vacation Cottages and LambLion Holiday Apartments. Those traveling on a budget will be delighted to know that there is a broad range of lower-priced hotels in the vicinity of Antigua. 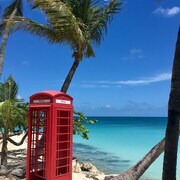 The Sugar Ridge is 11 kilometres (7 miles) from the main part of Antigua, while the Pineapple Beach Club Antigua - All Inclusive - Adults Only is 10 kilometres (6 miles) away. The Hawksbill by rex resorts - All Inclusive and the Siboney Beach Club are another two lower-cost places that are worth checking out. 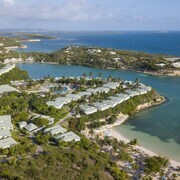 The Jumby Bay, A Rosewood Resort - All Inclusive is located 8 kilometres (5 miles) from the main part of Antigua. 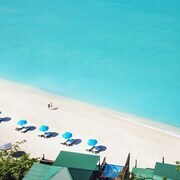 Alternatively, the Hermitage Bay All Inclusive is situated 12 kilometres (7 miles) away. The Curtain Bluff Resort - All Inclusive as well as the Carlisle Bay are two other Expedia-listed accommodation options in Antigua. 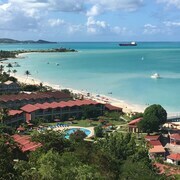 St. John's is 10 kilometres (6 miles) to the northwest of Antigua and is home to the Dickenson Bay Beach and Fort James. 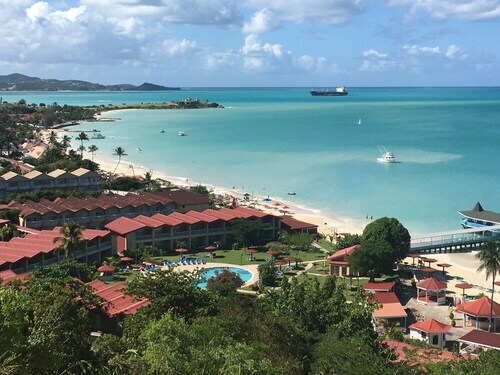 The Blue Waters Resort and Spa and Galley Bay Resort & Spa - All-Inclusive - Adults Only are some of the Expedia-recommended lodging alternatives in St. John's. Alternatively, you could stay in Pares, 3 kilometres (2 miles) to the southeast of Antigua, where you can choose from the Ellen Bay Cottages and Arca Villa and Bed and Breakfast. While in Pares, be sure to visit the Reservoir Range and Hell's Gate Island. Why not spend a few hours cheering along with Antigua and Barbuda sports obsessives at a local match. Sir Vivian Richards Stadium is 1 kilometre (1 mile) to the north of Antigua. Those wishing to find a bed near to the sporting action can select from the Paige Pond Country Inn or the Date Palms Apartments. 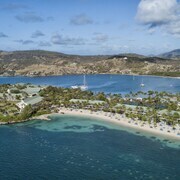 Situated 6 kilometres (4 miles) from Antigua is V.C. Bird International Airport. Stay nearby at Suite Serenade or Ocean Point Resort and Spa. 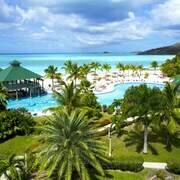 What are the most popular Antigua hotels? Are there hotels in other cities near Antigua? What other types of accommodations are available in Antigua? Explore Antigua with Expedia.ca’s Travel Guides to find the best flights, cars, holiday packages and more!